Driving across our private, 1/4-mile causeway, you leave behind the hectic world and enter paradise. The Island's friendly, relaxed tone promotes strong bonds among our residents. Golfers, boaters, tennis players, bridge players, fishers and gardeners get to know each other through club events and activities. Neighbors celebrate joyful times together and are always willing to lend a hand when needed. 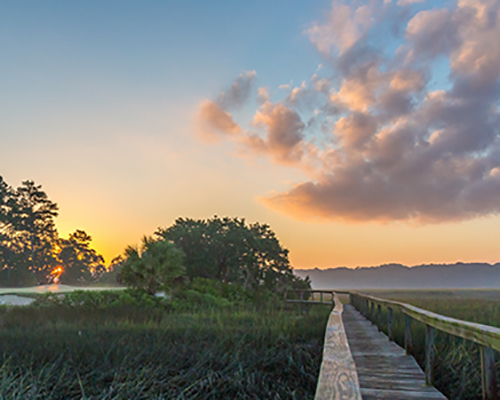 In the early 17th century, the Yemassee Indians gave Callawassie Island its name, which means "calm waters". James Hamilton, a legislator and general, was the gentleman who constructed Callawassie Island’s historic Sugar Mill Ruins. Sugar cane did not prosper but the old mill tabby remnants remain. Over the centuries, the island evolved from a thriving indigo plantation to a southern playground for the nation's industrial elite. In 1981, Callawassie Island established its modern identity, and was developed into the private community that flourishes today. 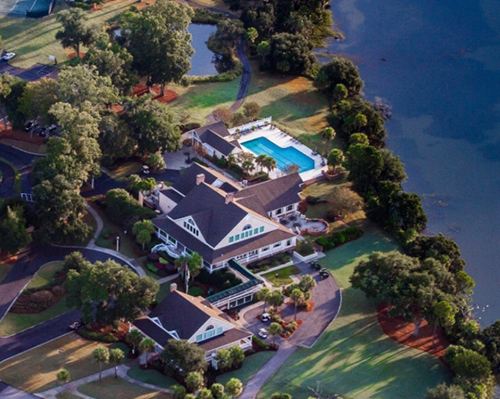 The Callawassie Island Club offers a private setting where members are surrounded by friends. Whether members are recent retirees, young professionals or those choosing to have a second home, all share a common interest in the island community and the Club’s wellbeing. 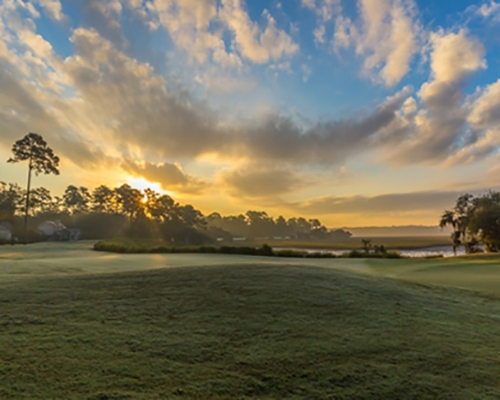 The Callawassie Island Club Membership Plan offers flexibility, options and value. Through the resident membership, everyone has access to the Club’s dining and meeting facilities, fitness center, tennis center, pools, community docks and golf practice facilities.